".. His letters contain some things that are hard to understand, which ignorant and unstable people distort, as they do the other Scriptures, to their own destruction." By "the other Scriptures" St. Peter means the Old Testament, and also, perhaps, some of the earlier writings of the New, as the first three Gospels and the Epistle of St. James. ὡς καὶ τὰς λοιπὰς γραφάς. (1) There has been much discussion among commentators as to the meaning of γραφάς. Spitta takes γραφάς in sense of “writings,” and concludes that these were by companions of the Apostle Paul; but this is a very unusual sense of γραφή unless the name of an author is given. Mayor and others interpret as the O.T. Scriptures; while some who are prepared to assign a late date in the second century to the epistle, think that both Old and New Testament Scriptures are meant. On every ground the hypothesis of γραφάς = O.T. Scriptures is to be preferred. (2) The difficulty in connexion with the meaning of γραφάς is largely occasioned by the phrase τὰς λοιπὰς γρ. Does this mean that the Epistles of St. Paul are regarded as Scripture? Attempts have been made (e.g., by Dr. Bigg) to cite classical and other parallels that would justify the sense for τὰς λοιπὰς, “the Scriptures as well”. In these, certain idiomatic uses of ἄλλος and other words are referred to, but no real parallel to this sense of λοιπός can be found, and the connexion implied in λοιπός is closer than ἄλλος. The result of the whole discussion is practically to compel us to take τὰς λοιπὰς γραφάς in the obvious sense “the rest of the Scriptures,” and we cannot escape the conclusion that the Epistles of Paul are classed with these. The intention of the author of 2 Peter seems to be to regard the Pauline Epistles, or those of them that he knew, as γραφαὶ because they were read in the churches along with the lessons from the O.T. "You would soon conquer Egypt and that is a land which is known (as the land of al-qirat). So when you conquer it, treat its inhabitants well. For there lies upon you the responsibility because of blood-tie or relationship of marriage (with them). " "‏ إِنَّكُمْ سَتَفْتَحُونَ مِصْرَ وَهِيَ أَرْضٌ يُسَمَّى فِيهَا الْقِيرَاطُ فَإِذَا فَتَحْتُمُوهَا فَأَحْسِنُوا إِلَى أَهْلِهَا فَإِنَّ لَهُمْ ذِمَّةً وَرَحِمًا ‏"
The blood-tie: Hagar, the Mother of Ismael, and Maryia, the mother of Ibrahem (The son of Prophet Muhammad),both were Egyptians. 7 You hypocrites! Isaiah was right when he prophesied about you:8 “‘These people honor me with their lips, but their hearts are far from me. 9 They worship me in vain; Their teachings are merely human rules. 15:1-9 Additions to God's laws reflect upon his wisdom, as if he had left out something which was needed, and which man could supply; in one way or other they always lead men to disobey God. How thankful ought we to be for the written word of God! Never let us think that the religion of the Bible can be improved by any human addition, either in doctrine or practice. Our blessed Lord spoke of their traditions as inventions of their own, and pointed out one instance in which this was very clear, that of their transgressing the fifth commandment.... The doom of hypocrites is put in a little compass; In vain do they worship me. It will neither please God, nor profit themselves; they trust in vanity, and vanity will be their recompence. In vain do they worship me - That is, their attempts to worship are "vain," or are not real worship - they are mere "forms." Teaching for doctrines ... - The word "doctrines," here, means the requirements of religion - things to be believed and practiced in religion. God only has a right to declare what shall be done in his service; but they held their traditions to be superior to the written word of God, and taught them as doctrines binding the conscience. Then there will be a caliphate upon the prophetic methodology. It will last for as long as Allah wishes it to last, then Allah will remove it whenever He wishes to remove it. Then there will be an abiding dynasty, and it will remain for as long as Allah wishes it to remain. Then Allah will remove it whenever He wishes to remove it. Then there will be tyrannical (forceful) kingship, and it will remain for as long as Allah wishes it to remain. 4 In God, whose word I praise— in God I trust and am not afraid. What can mere mortals do to me? 5 All day long they twist my words; all their schemes are for my ruin. Every day they wrest my words,.... Form, fashion, and shape them at their pleasure; construe them, and put what sense upon them they think fit. The word (u) is used of the formation of the human body, in Job 10:8; They put his words upon the rack, and made them speak what he never intended; as some men wrest the Scriptures to their own destruction, 2 Peter 3:16; and as the Jews wrested the words of Christ, John 2:19. Every day they wrest my words - They have been spies on my conduct continually; they collected all my sayings, and wrested my words out of their proper sense and meaning, to make them, by inuendos, speak treason against Saul. They are full of evil purposes against me. "But you must not mention 'a message from the LORD' again, because each one's word becomes their own message. So you distort the words of the living God, the LORD Almighty, our God." For every man’s word shall be his burden — You shall be made severely to account for your loose and profane speeches, wherewith you deride and pervert the words and messages of God himself. Or, “Every man shall have most reason to regard his own word as hurtful and prejudicial to him. For the words of God were delivered with a salutary tendency, to warn sinners of the danger of their situation, and to call them to repentance. Those, therefore, who made a right use of them would have no cause to complain. But those who despised and rejected them perverted that which should have been for their wealth into an occasion of falling.” — Blaney. The bible confirms its own corruption !
" 'How can you say, "We are wise, for we have the law of the LORD," when actually the lying pen of the scribes has handled it falsely"
I neither believe nor disbelieve in the Qur’an. If I believed in the Qur’an, I would be a member of the Muslim ummah (community). But I cannot disbelieve in the Qur’an because I believe that Muhammad was a prophet and I respect the Qur’an as a kindred revelation, first revealed to a kindred people, in a kindred language. In those weeks, I truly entered into the spirit of Islam to such an extent that ultimately I became inwardly convinced that I myself was a Muslim, and judiciously discovered that this was the only religion which, even in its doctrinal and official formulation, can satisfy philosophic minds. My ideal was to elevate Judaism to a similar rational level. His admiration for Islam did not prevent Goldziher from remaining a devout Jew all his life. Indeed, Goldziher was appointed the secretary of the Jewish community in Budapest. This bond to Judaism and the Jewish people was unusual for a man seeking an academic career in Europe in the late 19th century. This in part was why Goldziher saw Islam through the eyes of someone who refused to assimilate into the contemporary Christian European culture. He had little admiration for European Christianity. 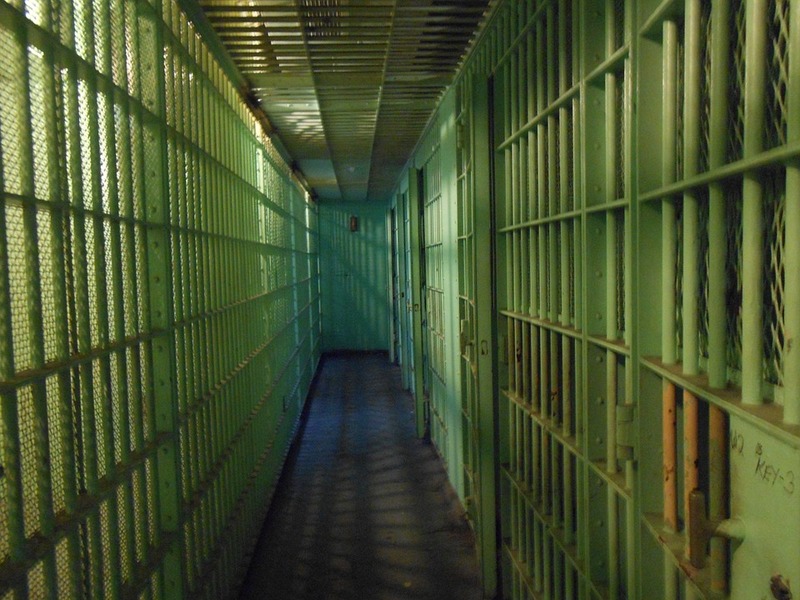 Goldziher was denied a teaching post at Budapest University until he was 44. As a Christian convert, he would easily have received a university appointment as a full professor but he always refused to convert. In Edward Said’s critical attacks on western academic scholars of Islam in his book Orientalism, Said himself reproved them for failing to pay sufficient attention to scholars like Goldziher. Of the five major German orientalists, Said remarked that four of them, despite their profound erudition, were hostile to Islam. Goldziher’s work was an exception in that he appreciated ‘Islam’s tolerance towards other religions’. Dr. Yitzhaq Yehuda Goldziher was a 19th-century example of the famous Jew Rabbi Mukhayriq, who was one of many Jews who supported the Prophet Muhammad when he first arrived in Medina. Rabbi Mukhayriq, a learned leader of the tribe of Tha’labah, was part of a tribe that was made up of Jews from the land of Israel who had settled in Medina several centuries earlier, which included a large number of local Arabs who had converted to Judaism over the ensuing generations. When the Prophet Muhammed, who was seriously injured in that battle, was informed about the death of Rabbi Mukhayriq, Muhammed said about the Rabbi: “مُخَيْرِيقُ سَابِقُ يَهُودَ, or Mukhayriq is the foremost among the Jews (Ibn Shabbah, Ta’reekh Al-Madinah 467)”. In another narration, the Prophet said: “مُخَيْرِيقٌ خَيْرُ يَهُودَ, or Mukhayriq was the best of the Jews (Ibn Sa’d, Tabaqat Al-Kubra 1535)”. Ibn Ishaq also wrote that Rabbi Mukhayriq “recognized the Apostle of Allah by his description, and by what he found in his scholarship. However, (since) he was accustomed to his own religion, this held him back (from converting to Islam)”. Christians did not accept Muhammad as a legitimate prophet because they believed Jesus was a part of a Holy Trinity and the Qur’an explicitly states: “The Messiah (Jesus) the son of Mary, was but a messenger of Allah and His word which He directed to Mary, a soul from Him. So believe in Allah and His messengers. And do not say Three: desist! – it is better for you. Indeed, Allah is but one God. Exalted is He above having a son (4:171)”. But why did the Jews of Medina not support the Prophet Muhammad, who was just as unitarian as Moses? Most of them may have been afraid that after the death of Prophet Muhammad, his ex-pagan polytheist followers would turn him into a son of God and worship him, just as the followers of Jesus had turned him into a Son of God; and not only worshipped him but persecuted the Jews who would not worship Jesus. Thank God that did not happen, but by the time Prophet Muhammad died, the three Jewish tribes in Medina had already been defeated in inter-tribal fighting and had banished from Medina. I first studied Islam when I was a student at UCLA almost 60 years ago, and then again while I was in Rabbinical school. Over the years I continued to read the Qur’an and other Islamic books. 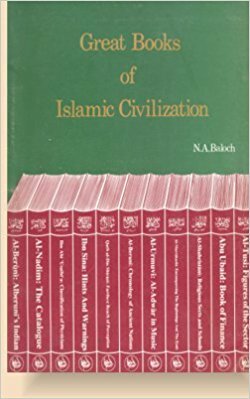 I read these books as the Prophet taught his followers to read when seeking knowledge, “not as a believer, and not as a disbeliever”. But what does that mean? The Qur’an, of course, is sacred scripture for Muslims. A disciple of Muhammad named Abu Huraira related: “The people of the Book used to read the Torah in Hebrew and then explain it in Arabic to the Muslims. Allah’s Apostle said (to the Muslims): ‘Do not believe the people of the Book, nor disbelieve them, but say, ‘We believe in Allah, and whatever is revealed to us, and whatever is revealed to you’ (Bukhari Vol. 9, Book 92, #460 and Vol. 9, Book 93, #632)”. Following Muhammad’s teaching, I too neither believe nor disbelieve in the Qur’an. If I believed in the Qur’an I would be a member of the Muslim ummah (community). But I cannot disbelieve in the Qur’an because I believe that Muhammad was a prophet and I respect the Qur’an as a kindred revelation, first revealed to a kindred people, in a kindred language. In fact, the people, the language, and the theology are closer to my own people, language, and theory than that of any other on earth. Thus, I feel that I am a Muslim Jew, i.e. a faithful Jew submitting to the will of God, because I am a Reform Rabbi. Reform Jews are also now the largest of the Jewish denominations in the United States (in the UK, Reform Judaism is called Liberal Judaism). As a Rabbi, I am faithful to the covenant that God made with Abraham, the first Jew to be a Muslim, and I submit to be bound by the covenant and commandments that God made with the people of Israel at Mount Sinai. As a Reform Rabbi, I also believe that Rabbis should modify Jewish traditions to prevent them from making religion too difficult to practice. This important teaching in the Qur’an (7:157) was taught by Prophet Muhammad twelve centuries before the rise of Reform Judaism in early 19th century Germany. As Abu Huraira related: “The Prophet said, ‘Religion is very easy and whoever overburdens himself in his religion will not be able to continue in that way. So you should not be extremists, but try to be near to perfection and receive the good tidings that you will be rewarded (Bukhari book 2 #38)”. May the faithful believers of all religions commit themselves to this excellent teaching. Rabbi Maller is a graduate of UCLA and the Hebrew Union College. Rabbi Maller is Past President of the Southern California Association of Reform Rabbis and is now President of the National Jewish Hospitality Committee. فإذ وقعت الحرب فالقتال محصور علي المحارب فقط ، وكل الآيات القتالية في القرآن الكريم محمولة علي الحربيين - الجيش بالمصطلح المعاصر - ، اما الذين لا يقاتلون - المدنيين بالمصطلح المعاصر - فيحرم قتلهم ..
وذاك لأنه لا يوجد ترابط بين الكفر و القتل في الإسلام ولو كان الكفر واحدة مبيحا للقتل للزم قتل هؤلاء لأنهم كفار ولكن حرم قتلهم فدل ذلك ان الكفر وحده لا يبيح القتل، ولكن المبيح للقتل هو الحرابة..
ولا يقتصرِ النهي عن الاعتداء على بني البَشر فقط؛ وإنَّما تجاوز ذلك ليشملَ النهي عن الإتلاف، وقطع الشَّجر، وقتْل الحيوانات، وتخريب الممتلكات بغير مصلحة، أو ضرورة تقتضي الإقدامَ على ذلك، وهذا سُموٌّ أخلاقي لم تعرفْ له البشرية مثيلًا في تاريخها قديمًا وحديثًا. "إنَّ الْحَلَالَ بَيِّنٌ، وَإِنَّ الْحَرَامَ بَيِّنٌ، وَبَيْنَهُمَا أُمُورٌ مُشْتَبِهَاتٌ لَا يَعْلَمُهُنَّ كَثِيرٌ مِنْ النَّاسِ، فَمَنْ اتَّقَى الشُّبُهَاتِ فَقْد اسْتَبْرَأَ لِدِينِهِ وَعِرْضِهِ، وَمَنْ وَقَعَ فِي الشُّبُهَاتِ وَقَعَ فِي الْحَرَامِ، كَالرَّاعِي يَرْعَى حَوْلَ الْحِمَى يُوشِكُ أَنْ يَرْتَعَ فِيهِ، أَلَا وَإِنَّ لِكُلِّ مَلِكٍ حِمًى، أَلَا وَإِنَّ حِمَى اللَّهِ مَحَارِمُهُ، أَلَا وَإِنَّ فِي الْجَسَدِ مُضْغَةً إذَا صَلَحَتْ صَلَحَ الْجَسَدُ كُلُّهُ، وَإذَا فَسَدَتْ فَسَدَ الْجَسَدُ كُلُّهُ، أَلَا وَهِيَ الْقَلْبُ". Do your best to avoid haram just like Sahaba when they heard that alcohol has been forbidden, so the roads of Al-Madinah were full of wine. In Bible Satan Is The God Of The World !! In Quran Allah Is The Lord Of The Worlds !! In Bible Jesus Is The Cursed One !! In Quran Satan Is The Cursed One !! 13 Christ redeemed us from the curse of the law by becoming a curse for us, for it is written: “Cursed is everyone who is hung on a pole. So when you recite the Qur'an, [first] seek refuge in Allah from Satan, the expelled and cursed one [from His mercy]. "Although the book is anonymous, apart from the ancient heading "According to Mark" in manuscripts, it has traditionally been assigned to John Mark, in whose mother's house (at Jerusalem) Christians assembled. (The New American Bible, ISBN: 978-0-529-06484-4, Page 1064)"
"Although there is no direct internal evidence of authorship, it was the unanimous testimony of the early church that this Gospel was written by John Mark. (From the NIV Bible Commentary , page 1488)"
- Does not prove that the author was Mark. - Nor does it prove that other people did not alter and modify the book, especially when the book was written at least 40-50 years after Christ. We don't even know if Mark even wrote the book. "Traditionally, the gospel is said to have been written shortly before A.D. 70 in Rome, at a time of impending persecution and when destruction loomed over Jerusalem. (The New American Bible, ISBN: 978-0-529-06484-4, Page 1064)"
"This verse, which reads, "But if you do not forgive, neither will your heavenly Father forgive your transgressions," is omitted in the best manuscripts. (The New American Bible, ISBN: 978-0-529-06484-4, Page 1081)"
"This passage, termed the Longer Ending to the Marcan gospel by comparison with a much briefer conclusion found in some less important manuscripts, has traditionally been accepted as a canonical part of the gospel and was defined as such by the Council of Trent. Early citations of it by the Fathers indicate that it was composed by the second century, although vocabulary and style indicate that it was written by someone other than Mark. (The New American Bible, ISBN: 978-0-529-06484-4, Page 1088)"
So, in reality, we don't really know whether Mark was the sole author of this Gospel or not, nor do we know when and where the "gospel" was even written. And since The New Testament wasn't even documented on paper until 150-300 years (depending on what Christian you talk to) after Jesus, then how are we to know for sure that the current "Gospel of Mark" wasn't written by some pro of Mark? 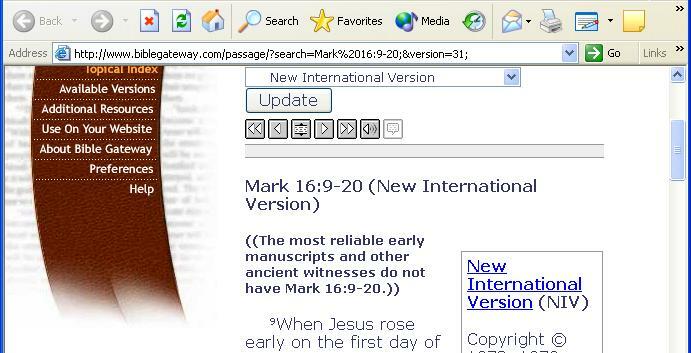 The above text reads: "The most reliable early manuscript and other ancient witnesses do not have Mark 16:9-20." 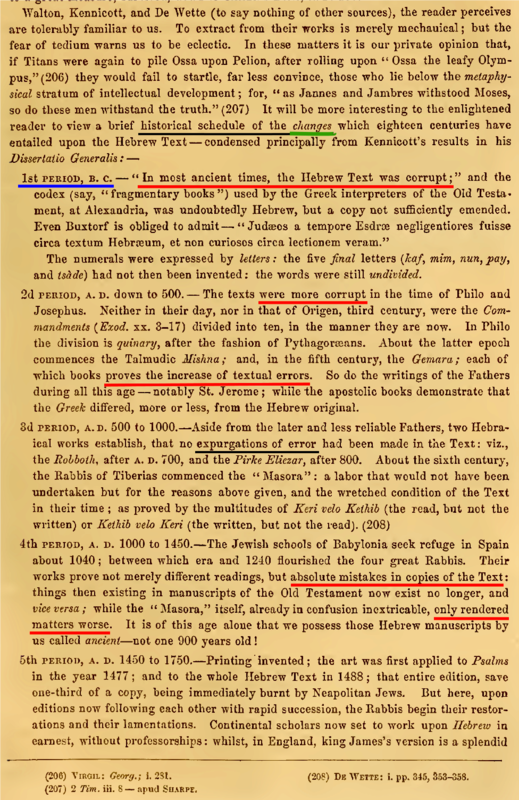 Now my concern to this corruption and 'answer-the-problem-away' statement is that what are those so-called "reliable early manuscript(s)" and who are the "ancient witnesses"? Removing Mark 16:9-20 is quite appreciated, because it prevents people from dying from snake bites. But however, the serious issue of man's corruption of the Bible remains. Dr. James White acknowledges that the Bible has been tampered with ! If the "gospel of Mark" was indeed Divine and from GOD Almighty, then we wouldn't have this corruption in it. In this article I will show evidences from non-Muslim Scholars that Hadith existed way before the dates they have brought forth. It is well-known fact among Muslim scholars that Hammam B. Munabbih was a student of Abu Huraira. The earliest hadith collection we have extant is Sahifa b. Munabbih which was written by the student of Abu Huraira. The Books name is ‘Sahifah Hammam b.Munabbih’. “An example is the Sahifah of Hammam b. Munabbih, (d. 110/719), a Yemenite follower and a disciple of Companion Abu Hurayrah, (d. 58/677), from whom Hammam learned and wrote this sahifah, which comprises 138 hadith and is believed to have been written around the mid-first/seventh Century. Compilation of hadith in a book form had become a known practice even during the prophet’s lifetime. We are told that Ali b. Abu Talib had compiled a small book containing Traditions of the Prophet, ‘Abdullah b. ‘Amr b. Al-As has also collected by permission of the Prophet, some Traditions in a book, which he named as al-Sahifa al-sadiqa. Similarly, Jabir b. Abdillah (d. 78 A.H.) was the compiler of a small collection of hadith. Abu Huraira and Amr b. Hazm are also reported to have gathered some Traditions while the latter had also committed to writing a number of such letters of the Prophet as he had despatched to the neighbouring rulers inviting them to embrace the new faith. Abu Huraira, a close companion of the Prophet, had preserved and transmitted a large number of traditions. Apart from oral transmission, he is reported to have dictated some traditions to his pupils who committed them to writing. 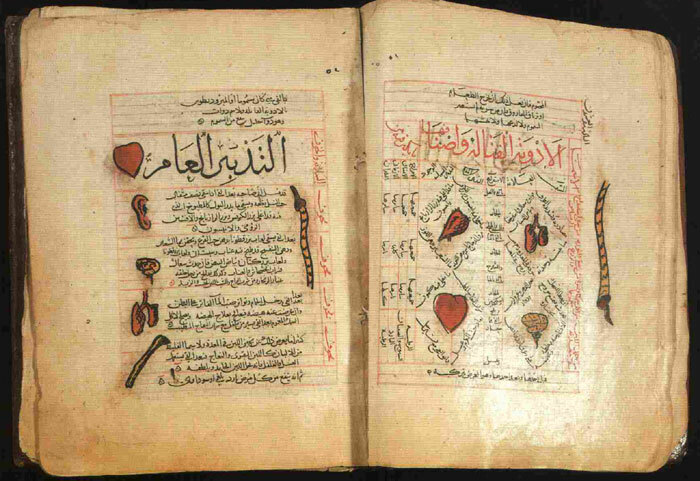 Hammam b. Munabbih compiled a book entitled al-sahifa, of which the manuscripts are found in the libraries of Berlin and Damascus. Its Arabic text along with the Urdu Translation and necessary notes has recently been published by Dr. Hamidullah. 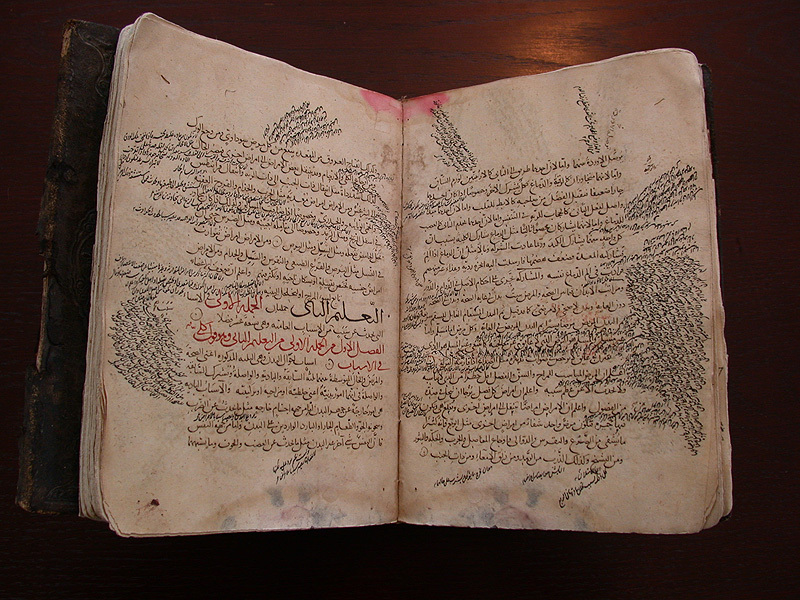 Ma’mar b. Rashid, a disciple of Hammam, also compiled a book entitled Jami, Manuscripts of which are in the Ankara University Library and in Istanbul. Abu Bakr Abd al-Razzaq b. Hammam al-san’ani (126-211 A.H.) was a student of ma’mar and one of the teachers of Ahamd b. Hanbal. He is also the compiler of a book entitled ‘musannaf’. 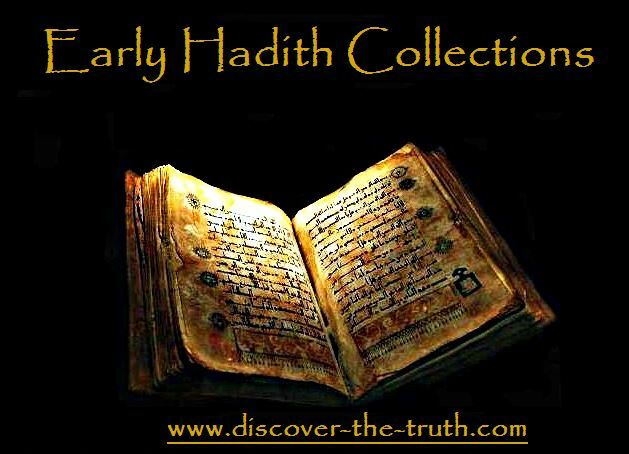 In view of these facts, it would be erroneous to assume, as some of the orientalists do, that the work of hadith-compilation was unknown during the prophet’s lifetime, and hence the entire collection of hadith becomes of questionable authenticity. Professor Harold Motzki believes ‘Musanaf of Abdul Razzaq’ to be a source of Authentic Hadith from the 1st Century*. His article is massive, I am just going to present his Conclusion. 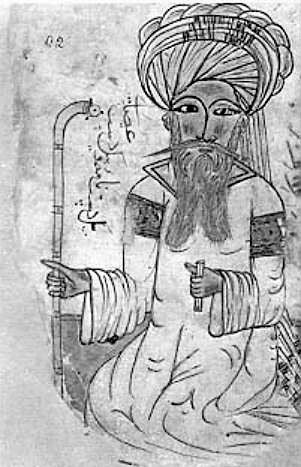 Mālik ibn Anas who was born in the year 711 and died 795 (93 AH – 179 AH ) is another Early Scholar of Islam who collected hadiths. He was one of the most highly respected scholars of fiqh (Islamic Jurisprudence) in Sunni Islam. Imam Malik while he was alive compiled a Hadith book. The Hadith Book’s name is ‘Muwatta Imam Malik’ and we still have this Hadith book extant to this day. Ilya Pavlovich Petrushevsky (1898–1977) who was a Professor of History of the Near East at the University of Leningrad for twenty years, comments on Imam Malik’s Muwatta. Conclusion: From all the evidence presented it just goes to show how reliable early Hadith transmitters and collectors were. Whatever Muslim Scholars of the past have said on Hadith reliability, now non-Muslim Scholars affirm this truth. I believe everything I have brought forth in this article from Academic sources thoroughly debunk missionary and Hadith-rejecter lies. 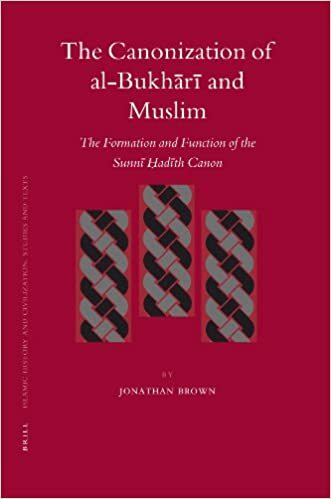 [Brown] has produced an ambitious study that will itself become a canon for the study of the canonization of the Saḥīḥayn and so like them it is worthy of much attention and analysis. Herbert Berg This is an unusual book in many ways, all of them good. Its scope is strikingly broad, it is in conversation with the latest scholarship both in the field of specialization and also in the wider world of theory, and it is well-written.